New Mexico, known as the land of enchantment, offers a diverse and unique travel experience. During a recent trip to several Pilates workshops, I was able to hit the top 3 most traveled destinations in the state: Albuquerque, Taos and Santa Fe. All three points are within several hours driving distance of each other if not less, so it makes for a great way to see the state. Explore Historic Old Town, which is brimming with more than 100 restaurants, galleries and shops. The up-and-coming Sawmill District houses Spur Line Supply Co., an eclectic store that offers home goods, clothing for both men and women as well as donuts for an indulgent snack. Take a hike to the Chaco Canyon overlook, a short, easy walk which will give you an excellent view of Fajada Butte and much of the Canyon. The Petroglyph National Monument is a snapshot into history where you can see more than 100 petroglyphs in about an hour. The beautiful secluded location of the Hyatt Regency Tamaya Resort & Spa will take your breath away. Nestled on 550 acres of the Native American Santa Ana Pueblo between the Sandia Mountains and the Rio Grande River, Tamaya offers local farm to table cuisine at its restaurant Corn Maiden as well as luxury wellness treatments at Tamaya Mist, it’s on-site spa. Yoga classes are also offered in addition to trail rides by rescue horses. If you would prefer to be in the hub of town, Hotel Chaco, a boutique hotel, is located in the heart of Albuquerque in the Historic Old Town and new urban Sawmill districts. Designed to pay homage to Chaco Canyon’s ancient structures, the hotel offers a world class fitness center in addition to private yoga lessons. The outdoor rooftop swimming pool and hot tub provides excellent views of the city. Need rejuvenation? Stop in for an Ayurveda treatment at The Arogya Center, which focuses on wellness of mind, body and spirit. El Santuario de Chimayó is a Roman Catholic church in Chimayó, about a 30-minute drive from Santa Fe, which receives over 300,000 visitors a year. Inside the church, there is a small prayer room where visitors can collect “holy dirt”, which is purported to have healing qualities. If you are lucky enough to be in Santa Fe on a Saturday, visit the Farmer’s Market, which is one of the most popular in the United States. From produce to locally made jewelry and clothing, the market has something for everyone. Take a Pilates class at Pilates in Santa Fe, owned by Raymond Kurshals, who has been teaching Pilates since 1973. Class sizes are small and cater to people of all fitness levels. Book a Thai Table massage at the Spa Sage at La Posada de Santa Fe for a relaxing way to end the day. Staying at the Inn at Five Graces is like stepping into another world. The Inn is a hidden gem right in the heart of Santa Fe. Each room’s unique décor is reminiscent of the luxurious designs Middle-Eastern and Tibetan. Daily a la carte breakfast is served either in the cozy dining area or in room, by request. Taos Ski Valley’s elevation is greater than 9000 feet above sea level, making it the highest town in the U.S. Recently opened in 2017, The Blake Hotel offers 80 rooms appealing to the adventure traveler, families and vacationers interested in an intimate and authentic experience. This is a year-round destination offering world-class skiing during the high season – December through February and mountain biking in warmer months. The Spa & Wellness Center at The Blake offers full spa treatments focused on healing and rejuvenation. 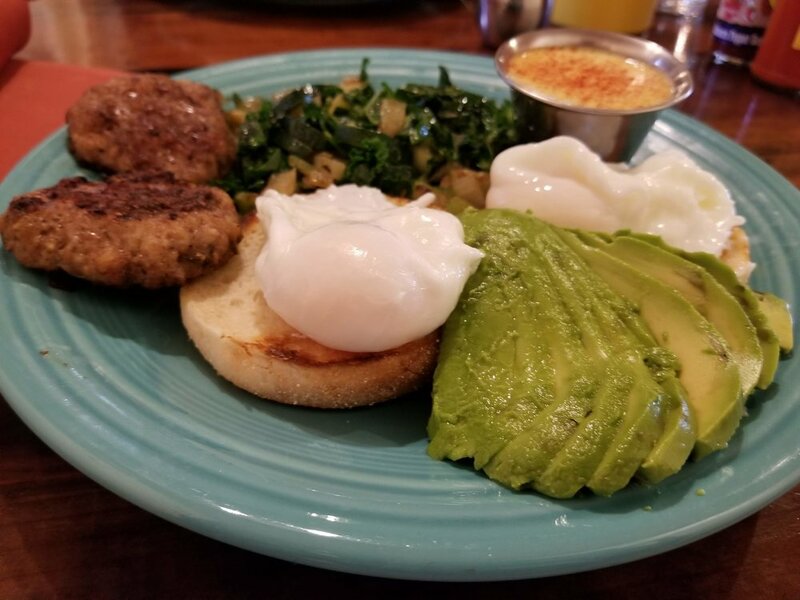 Grab breakfast at Farmhouse Café, which offers local and organic ingredients on the menu. Authentic New Mexican cuisine at its best, all dishes are made to order and pastries are baked in house. Drive to the Rio Grande Gorge Bridge, a steel deck arch span across the Rio Grande Gorge. 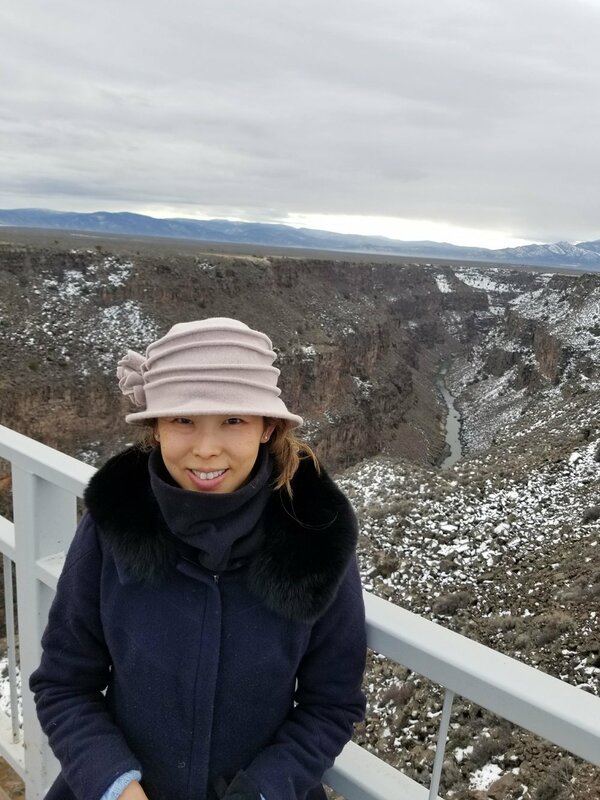 The view is breathtaking - approximately 600’ above the Rio Grande river, it is the tenth highest bridge in the United States. Stop by Common Fire, a newly opened restaurant, for lunch. The brick oven fires up homemade pizzas as well as other savory dishes, all focused on local ingredients as much as possible. Book a private tub at Ojo Caliente Mineral Springs Resort & Spa. The mineral waters, used by the earliest human inhabitants in the area, is thought to possess healing properties for the skin and body. There are four springs and each of them provide a different benefit. For instance, the Arsenic pool is believed to offer relief from arthritis and stomach ulcers.